Do you want a brighter smile? You’re not alone. 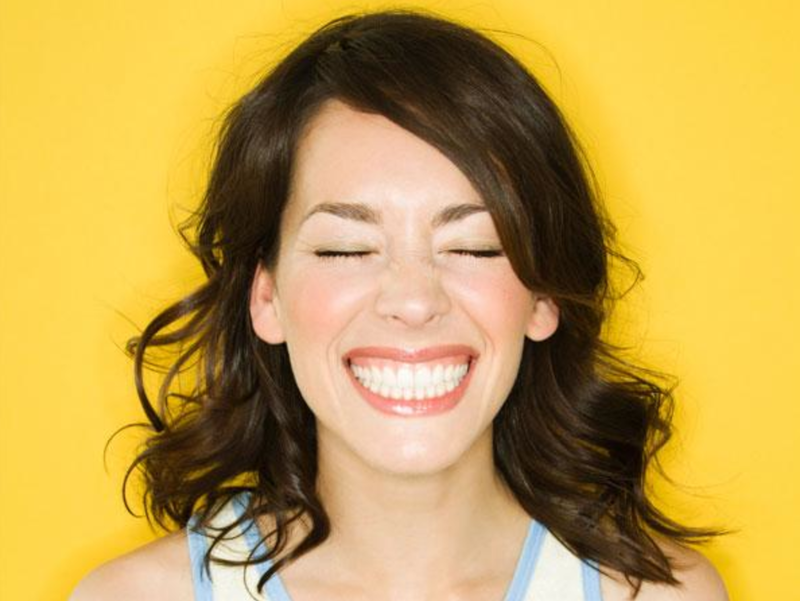 Fifty percent of all people polled by American Academy of Cosmetic Dentistry were unsatisfied with their smile. With diet and age, the enamel on your teeth becomes thinner and more transparent, and the inner layer, called dentin, looks darker. The AACD revealed other interesting statistics that support why a whitening your smile is a great choice, 99.7% of Americans believe a smile is an important social asset. And 74% feel an unattractive smile can hurt chances for career success. So where do you start? With tons of whitening products out on the market, it can be confusing and pretty intimidating. Let’s go over some the do’s & don’ts for whitening your teeth. Ask your dentist first! You need to first make sure that you don’t have tooth decay. If your teeth are damaged and have holes in them, the bleaching products are going to seep into these crevices and hit nerves—which can mean major pain and severe damage to your teeth. Custom trays from your dentist make sure you get the bleach where you want it—and not everywhere else. Your dentist can answer any of your smile makeover questions and learn about your specific concerns and to show you what they can do for you. Schedule an appointment. Eat crunchy foods. Eating crunchy foods like apples, carrots, celery, and pears help whiten your teeth. The more abrasive it is and the cleaner it will get your teeth. Strawberries contain malic acid, which removes discolorations on the surface of the teeth. Read more on healthly foods that help your teeth in our previous blog post. Drink through a straw. Your teeth aren’t thirsty, your throat is. The average American drinks roughly 576 soft drinks every year – about one and a half cans a day for everyone in the United States. Straws will reduce your teeth’s exposure to these staining beverages. According to a report from the Academy of General Dentistry (AGD), drinking soft drinks and other beverages through a properly positioned straw can help to minimize the risk of cavities. Purchase FDA-approved products. People often purchase brands online and don’t realize they’re not FDA-approved. Those products can damage your teeth with harmful whitening agents that can cause serious cellular damage gingivitis or oversensitivity inside the mouth. Maintain your bright smile. Use a whitening toothpaste to keep the shine from fading, and a whitening floss. Over whitening is a bad look. There’s a reason why your box of white strips comes with time limit instructions. Keep an eye on the time when the strips are in and limit your use of these products to twice a year. Stop whitening if your teeth start to turn blue around the edges. A good rule of thumb is that the color of your teeth should match the whites of your eyes. Three groups shouldn’t do their own whitening: those whose teeth are painfully sensitive to cold; anyone with crowns or fillings on their front teeth, and people whose enamel seems more gray than yellow from intrinsic stains from antibiotics, like tetracycline, taken in childhood/pregnancy. If your teeth look grayish, the discoloration likely lies inside the teeth, and bleaching won’t help much. Whitening strips will only whiten natural teeth. The strips will not whiten caps, crowns, veneers, fillings or dentures. Do not use with dental braces. More expensive doesn’t mean better. FDA-approved generic brand work just as good. Peroxide is the key ingredient in most whiteners. If you want a complete smile makeover from a home kit, look for a carbamide peroxide concentration of at least 10 percent. If you have never used teeth whitening kits before, I recommend starting with 16% because many people find 22% causes too much tooth or gum sensitivity. Bleaching molecules can get trapped in nerve passageways, causing temporary tooth sensitivity.